We have all heard about how good olive oil is for us and did you know that olives on their own are more than tasty in a salad or on a pizza? That small fruit is filled with an abundance of health benefits. Olives are harvested in September but are available all year. They are too bitter to be eaten off the tree; olives needs to be cured to reduce their bitterness. 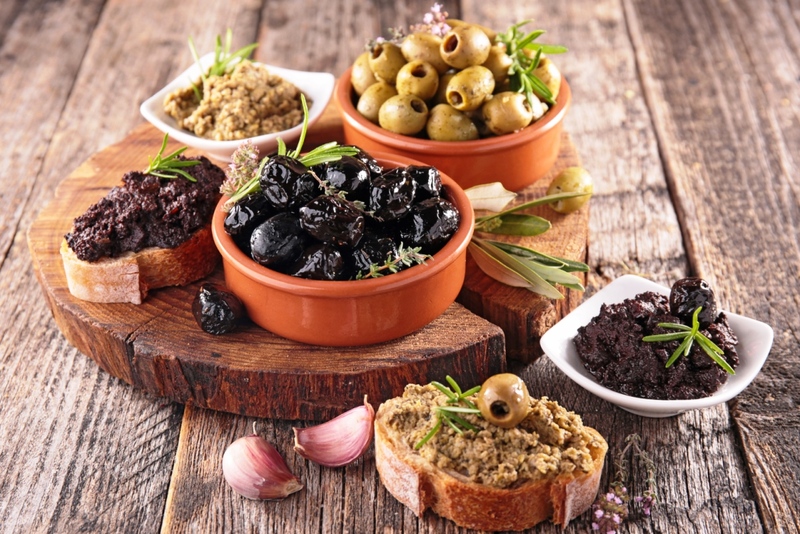 Check out the many health benefits of delicious olives. Inflammation can be a causative factor in many major diseases. Raising the level of antioxidants in the body can help lower inflammation. 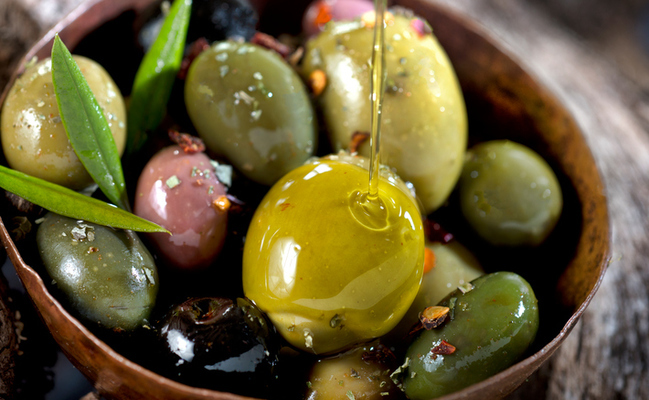 Eating olives has been found in studies to raise the level of gluthathione, a powerful antioxidant. The bitter glucoside in green olives has oleuropein which acts against bacterial infections in the body, both internally and externally. It has been found that the occurrence of cancer is lower in the countries that eat the Mediterranean diet which includes olives and olive oil. Olive oil has been found to have anti-tumor effects. It has been found that the skin of olives has properties to prevent breast cancer from developing. Oleic acid, the main monounsaturated fatty acid in olive oil has been found to stop the growth of cancer cells in the breast. An ingredient in olives, Erythrodiol has been found to stop the growth of cancer cells in the colon. Olives have ingredients that act as a defense against bacteria that cause stomach and airway infections, according to a study. Olives have anti-inflammatory properties that can reduce seasonal allergies. A study found that hydroxytyrosol, a powerful anti-inflammatory ingredient in olive oil extract can be very helpful against allergies. In a study with 7,625 people ages 65 and older with no history of stroke from three cities in France, it was found that those who regularly used olive oil for cooking and salad dressing or with bread had a 41 percent lower risk of stroke. Olives are full of antioxidant and anti-inflammatory phytonutrients as well as a number of flavonoid and phytonutrients. Olives are a very good source of copper, iron, dietary fiber and vitamin E.
Go to your farmers’ market and get the best, close-to-organic quality. Best to avoid buying canned olives from large-scale producers, as they are likely to be sprayed with pesticides and then treated with lye, to speed curing. When buying bottled olives, look for organic brands that have been naturally cured to avoid the lye cured ones. Best to buy the fresh, olives in bins at the market.